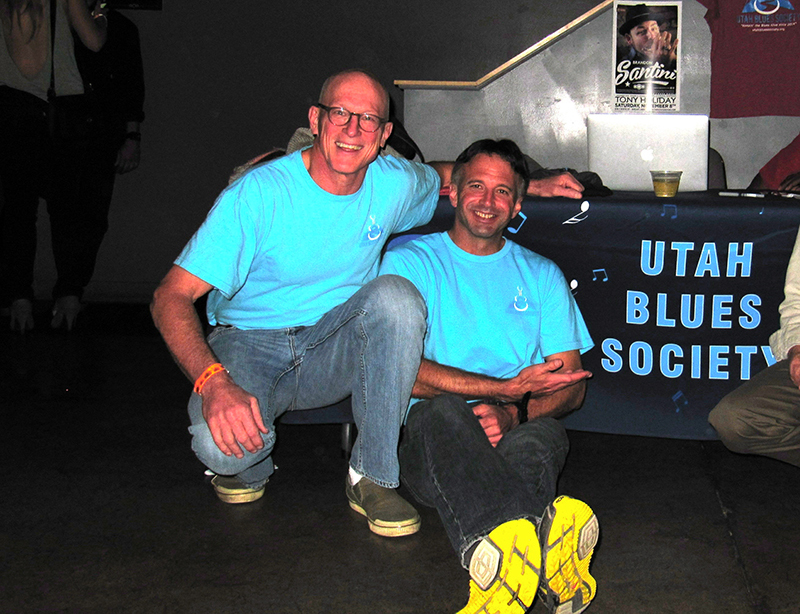 (L–R) Utah Blues Festival Organizers Tripp Hopkins and Brian Kelm are excited for a second year of the festival. Blues music is undeniably the most soulful genre of music that is steeped in U.S. history. It’s impossible to turn on the radio or television and not hear something that was influenced by the blues. Two original blues junkies and longtime best friends, Brian Kelm and Tripp Hopkins, joined forces to create the first ever Utah Blues Festival (UBF) last year—and thankfully for us blues-lovers, this year’s is even bigger and better! 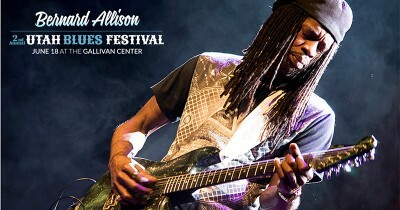 UBF is an all-day event packed with music and workshops led by some of the best blues musicians of the country. 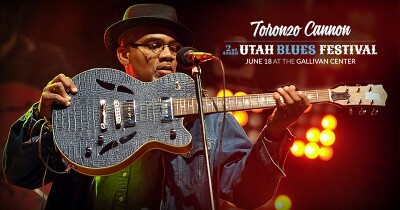 This Saturday, June 18, the Gallivan Center will host the second annual Utah Blues Festival. 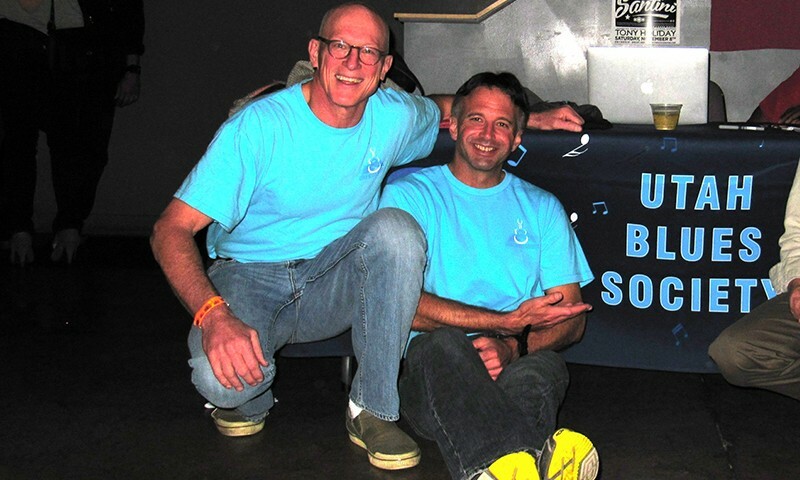 President Kelm and Treasurer H opkins are both involved in the Legendary Rhythm and Blues Cruise (LRBC). Their involvement with the LRBC has introduced the UBF co-founders to blues artists and bands around the country. “We see 35 to 40 bands in this festival,” says Kelm. For 35 years, Brian Kelm has been the MC to every major blues gig in Utah, as well as the MC for LRBC. At the age of 10, Kelm rifled through his older brothers’ vinyl records and found blues artists that resonated with him. “I thought, ‘These artists are badass!’” says Kelm. Moving to SLC in ’78—a college student at the time—he discovered KRCL Radio and within that same week, they hired him to play blues on the air—which still plays regularly on Monday nights. Tripp Hopkins religiously attended folk and blues festivals growing up near his home in Philadelphia. Like Kelm, he moved to Utah to attend school and found quickly what felt like home: blues clubs and festivals. “I saw Muddy Waters, BB King and James Cotton up at the Park West Blues Festival,” he recalls, “and [Utah] had really great clubs: The Zephyr Club, The Dead Goat and more.” A longtime blues lover, Hopkins helped produce a three-day festival in Tampa, Florida, The Tampa Bay Blues Festival, and works as a volunteer and promoter for the LRBC. The workshops are one of the most fun—and popular—parts of the entire festival, and last years’ filled up quickly. The workshops this year are for slide guitar and harp/harmonica. The slide-guitar workshop will be led by Jordan Young and other local musicians. Tony Holiday will help lead the harmonica workshop and—major bonus—they will also be handing out anywhere from 75 to 100 free harmonicas! “We always talk about the music, but you’ve got to teach the people how to have fun,” Hopkins says. The following week at the Utah Arts Festival, UBF will have three extra workshops: harmonica playing, bottleneck slide guitar and making your own cigar-box guitar.